Since Sqk was placed seven months ago tomorrow music has been part of our lives as indeed it was before. 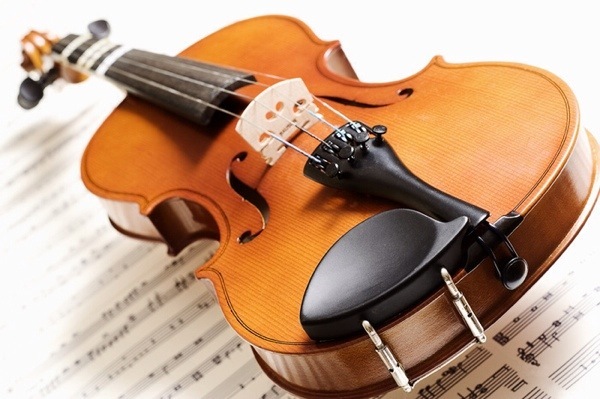 I am an amateur musician after all – play viola in a local orchestra. Sqk has made me discover how many nursery rhymes and children’s songs I do actually know. He came knowing a few and has learnt more from us and from the groups we attend. For him music is a great soother – we both sing to him when putting him to bed and the video monitor has Twinkle, Twinkle Little Star playing more often than not. I tend to alternate between ‘My Bonnie lies over the ocean’, the Skye Boat song and 2 versions of Twinkle, Twinkle (normal & Theraplay). DH sticks mainly to the first. We have a fair selection of songs etc. on iPod in car – including many of the ones recommended in an Adoption Social review by Adoption Journey. Also have a couple of ripped ELC CDs and when I get round to it more stuff from my sisters collection. He sings along to it and loves doing so. He also enjoys singing at groups and at times beating a rhythm. When we attend church services he has sat on my lap calming down during singing and I do find myself using music when he is upset or stressed. We also have a large amount of ‘our’ music on the iPod which on long journeys does get played. Apparently Sqk has no appreciation for Queen (normally get demands for his music) but does like most of the rest of the eclectic mix. My tastes go from Georgian Chant to soft rock via jazz, blues, modern pop and much else in between. One piece you can be listening to Mozart or Bach, then it could be Queen or Genesis next, then something from the Hobbit soundtrack or an Andrew Lloyd Webber musical and so it goes on. Indeed he also listens happily to Classic FM or Radio 2 in the car with me but doesn’t appreciate Radio 4 with Daddy. As my music tastes come from my father I would not be surprised if Sqk grows up with eclectic tastes. I am hoping he shows an interest in learning an instrument when he is older as that has opened doors for me. But above all else I hope he keeps the love of music he currently has.